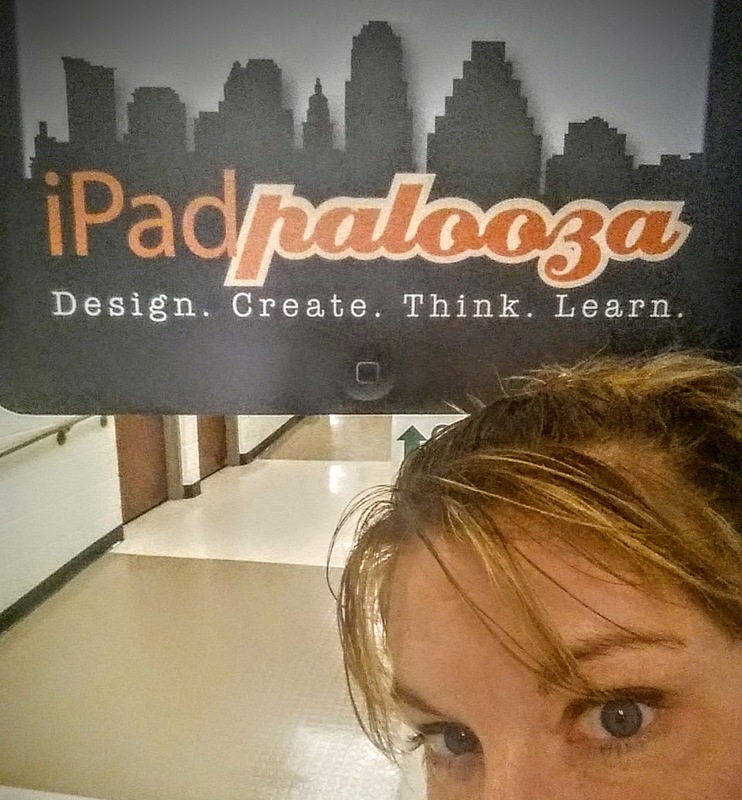 I was ecstatic to return to iPadpalooza this year to share augmented reality and green-screen projects as well as learn from other amazing educators. iPadpalooza is an educational tech conference held in Austin TX. This was their 4th year hosting this event, and for me it just gets better and better. I've met some really outstanding educators and I am honored to call them friends. I am always blown away to hear what others are doing in their classrooms and schools. To see their passion for learning and for kids is contagious. You can't help but to get excited too. I really enjoyed learning from Reshan Richards as he shared Explain Everything. You can tell that Explain Everything is definitely his baby. He is so passionate about learning you can't help but join in. Explain Everything is a great tool. It is one of my go to tools to use in the classroom. I love how you can create almost anything with it. Create animations, capture your screen, record, and share are just a few amazing things this app can do. Richard Wells is another great person to have in your PLN. His webiste iPad 4 Schools has lots of great resources. I also loved how just went with it when his mini Keynote slides didn't go just right, and he has a great accent. I also really liked that Adam Jones created podcast to capture his time at iPadpalooza. What a great way to remember what you learned and to share it as well. I also loved how Miguel Guhlin shared out is his notes from iPadpalooza. His notes helped me out a lot since I couldn't attend all the sessions I wanted to. 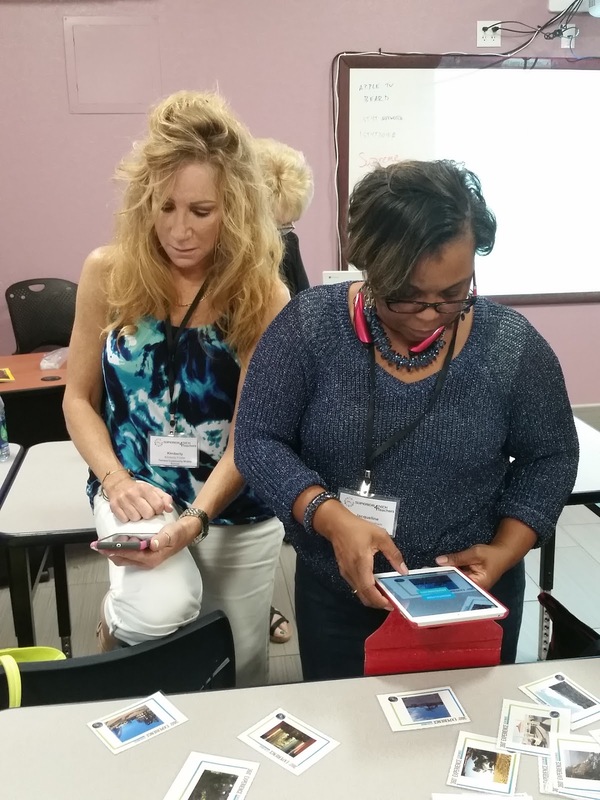 While I was at iPadpalooza I shared Seeing a Different Kind of Reality, where I introduced educators to different augmented reality apps. On the second day I shared Green-Screen projects, which didn't go according to plan since I was in the library and no real wall to use. On the third day I shared augmented reality again but more on ways to create it. It was a little difficult since attendees need accounts for the different platforms and everyone has different needs. Creating Augmented Reality is a passion of mine and I love to share ways others can create too. If you get a chance to attend iPadpalooza you should. You will learn a lot and you will make some pretty cool friends along the way. Until next time...Design, Create, Think, Learn, Connect, & Share! 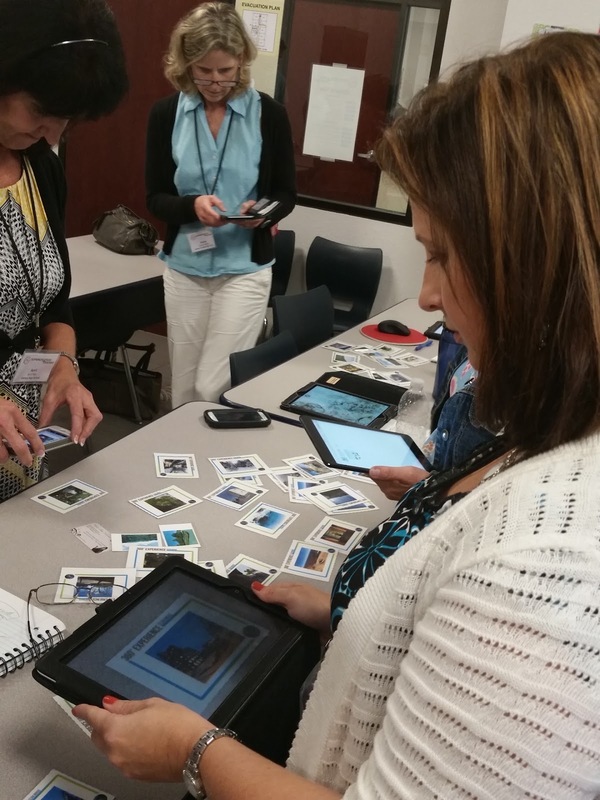 I get asked a lot why should teachers use augmented reality in their classroom. Augmented reality is not a new concept, in fact it has been in use in a wide range of industries for over 10 years. It took a dreamer who developed interactive coloring sheets and flashcards that popped out 3 dimensional objects geared towards kids before teachers even thought this tool was even useful. Some professionals still even think it is just a toy. Crayons, Legos, Tinker Toys, Candyland, and dice are all toys and you can find them in most elementary classrooms. Kids learn best when they play, it is a proven fact. Which is why teachers and parents turn toys into engaging tools. When you are actively engaged you are learning. Using augmented items in the classroom engages students beyond a worksheet, textbook, or even a video, and opens the door to endless possibilities. Boeing even announced during the AWE 2015 conference that augmented reality improved training for its employees. The employees did the task 30% faster with a 90% accuracy over the employees that only were allowed to read a PDF. Augmented reality is even being used in operating rooms to monitor patients. Workers on oil rigs even use augmented reality to help service the rigs. The military uses augmented goggles to receive important information in the field. So when I am asked why should augmented reality be used in classrooms the answer is clear. 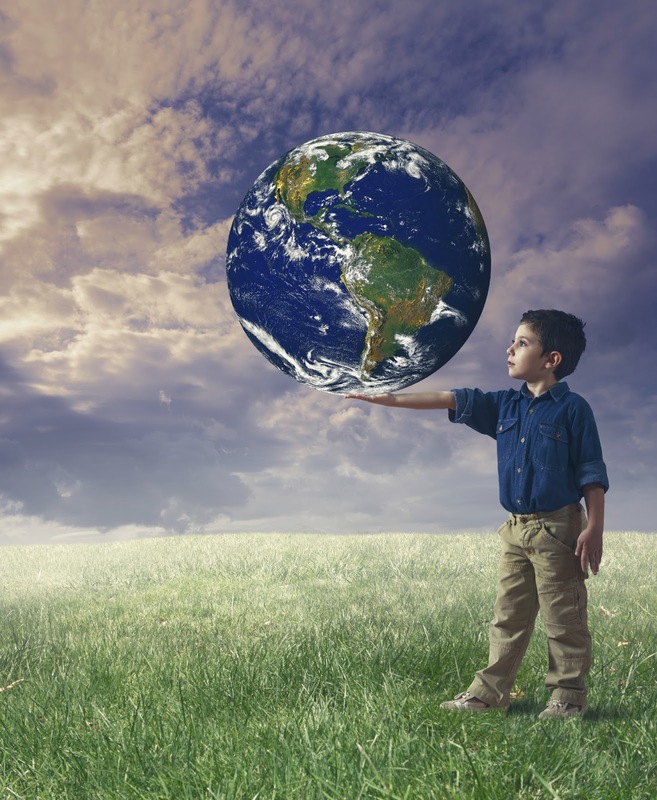 The use of augmented reality in classrooms prepares our children for their future today. There are many companies that have seen the impact augmented reality has and are developing their own tool to stake claim in the land of AR so to speak. Everyone has different needs so the tool or tools you decide to equip yourself with will depend on your needs. Quiver, Color Alive, and Chromville have some pretty cool interactive augmented coloring. I use the pages as writing prompts with my students. I also use these pages to help teach students how to revise their writing. If you are new to using augmented contented the coloring pages would be the avenue I would take to get started. There is also the tortoise and hare coloring pages from Arloon. Daqri has also developed a few augmented tools such as their 4D Elements blocks and their 4D anatomy both are great if that is the content you teach. Kids love holding the gold block and watching compounds come together. I even used the 4D anatomy to show how a heart valve works. For me it is about creating my own augmented content. There are a few companies that allow you to create such as Layar, Blippar, Daqri, Aurasuma, and Aug That. Each ones has their own platform and what they specialize in. When you are picking out a pair of shoes, you are going to with a pair you feel comfortable with. Same idea when picking out a company you want to use to create augmented content. I suggest you try them all out and get a feel for them. Then use the company that best fits your needs. Each one of use has different needs and different comfort levels. Daqri's platform as well as Layar and Blipper will allow you to copy, paste, and insert digital content. Unless you blog or share your creation in some way no one is going to know what you have created. For me I love to share and create content for others. I find it a challenge and a reward at the same time, so I needed a platform that would allow me to do just that. Adam Newman the Founder of Aug That also had the same idea. Teachers make the most amazing and engaging activities and they need a place to share with one another, so he developed the Teach Connect. Teachers can send the trigger image to Aug That along with the augmented elements and his staff will do their magic and create the augmented experience. The reason for his staff creating the augmented experiences is one to make sure the content is safe for kids. The other reason is to make sure each and every time your trigger gets scanned your intended content is what is received. They also want to make sure your trigger is a scannable trigger. Nothing is more frustrating than putting all your time into something and it doesn't work. What I love best about Teach Connect is the sharing. 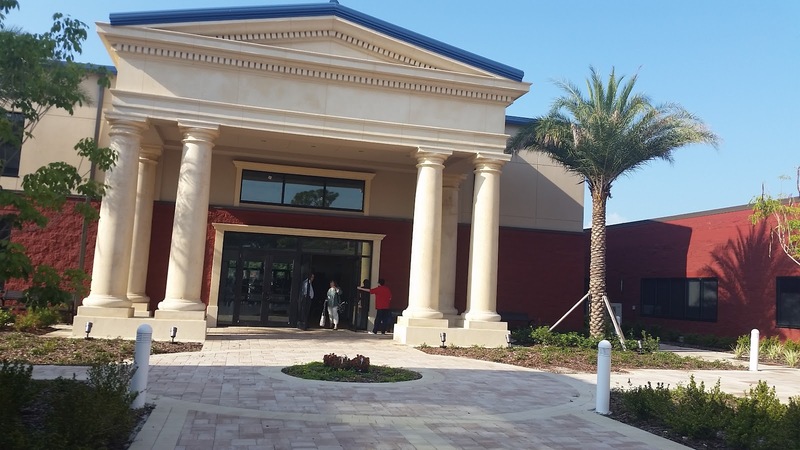 It is a community built for teachers and soon there will also be one for students. 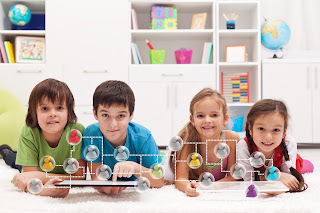 If you are needing an engaging activity on DNA to either enhance a lesson or as a introduction you can go to the Teach Connect and download it. It is already for you and your students to use. The community is constantly growing so I am sure there is an augmented lesson or activity just waiting for you. Aug That not only has the Teach Connect they also have tons of augmented animated lessons already made along with tons of 360 degree environments and 3D models. They are expanding their augmented curriculum and services, I can't wait to see where they go. I love how they have really built their company with the focus of education at all levels. 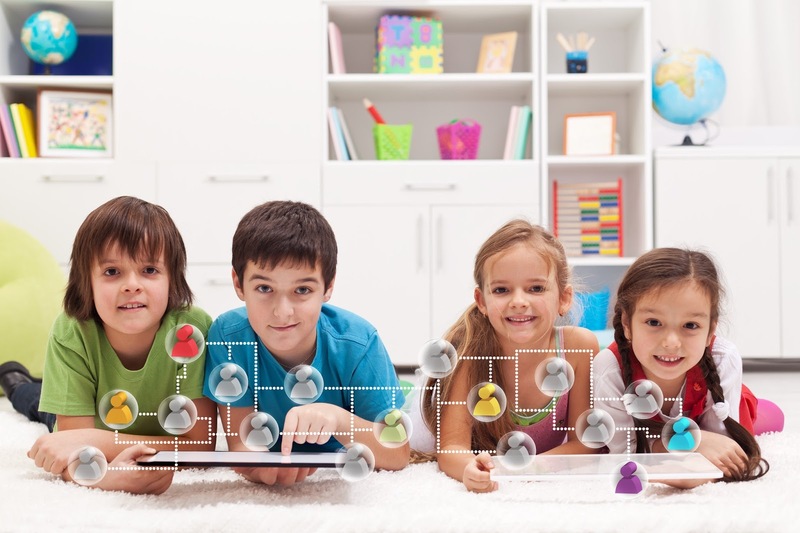 They are not in the field of marketing or making toys, they are solely in it for education. Why use augmented reality in the classroom, because we are preparing our students for their future today. I love connecting and sharing with teachers from all over. I had the chance to present at the Superior Tech 4 Teachers (#ST4T) conference in Clearwater FL hosted by the Plato Academy. The campus was beautiful, the staff, the event organizers, and the student volunteers were all amazing. They did a great job for hosting their 1st conference. I really enjoyed the atmosphere, the energy, and the excitement everyone had. incorporate it in our classrooms. It is not that augmented reality for learning is the next new thing in education it is because augmented reality is happening now in the workforce. We need to be using the technology our students will be using when they enter the workforce now. We need to prepare our kids for their future today. While I was there I shared just a handful of the tools teachers can use in their classroom. I introduced them to augmented coloring pages, augmented triggers that had 3D objects, 360º environments, and animated lessons. I even showed them an augmented interactive student math notebook and talked about how they could create their own augmented student interactive notebooks for all subjects. I wished I had more time during each of the presentations I could have shown so much more. I ran out of time and didn't get a chance to share the AR Ideas board, Let's Talk AR Hangouts, The Freedom Stories, Play a little AR Basketball, and so much more. While I was there I had a chance to try out some pretty cool technology. I was able to control the computer with my mind. 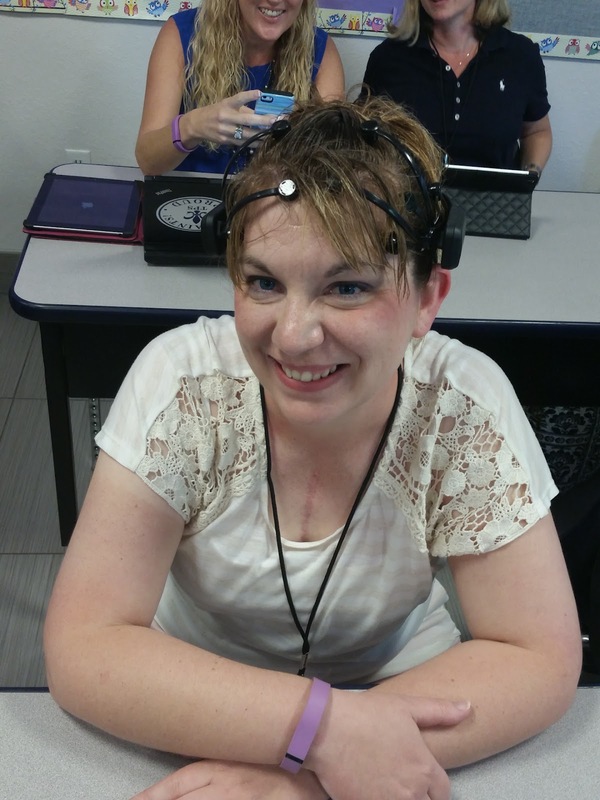 I felt like I was in Star Wars and I was controlling the force thanks to Emotive and EPOC mind controlling device. I had only heard about the headsets so it was great to test it out. The force was pretty strong at #ST4T and pretty cool. At the conference teachers could also try out Osmo which is a game accessory for the iPad which makes the iPad truly interactive. Microsoft in Education was also at the conference and you could try out some of their new toys and learn how to incorporate them into your classroom. My favorite part other than connecting with educators was the interactive classroom resigned furniture. 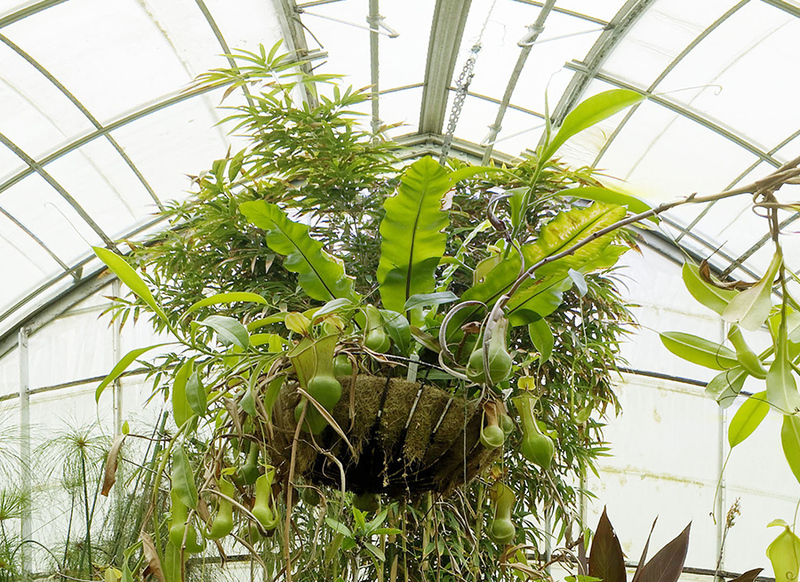 Talk about creating an active learning environment. They had furniture that you could easily move around create small groups or work independently. There were even tables tops you could write on, talk about a great way to collaborate and brainstorm. 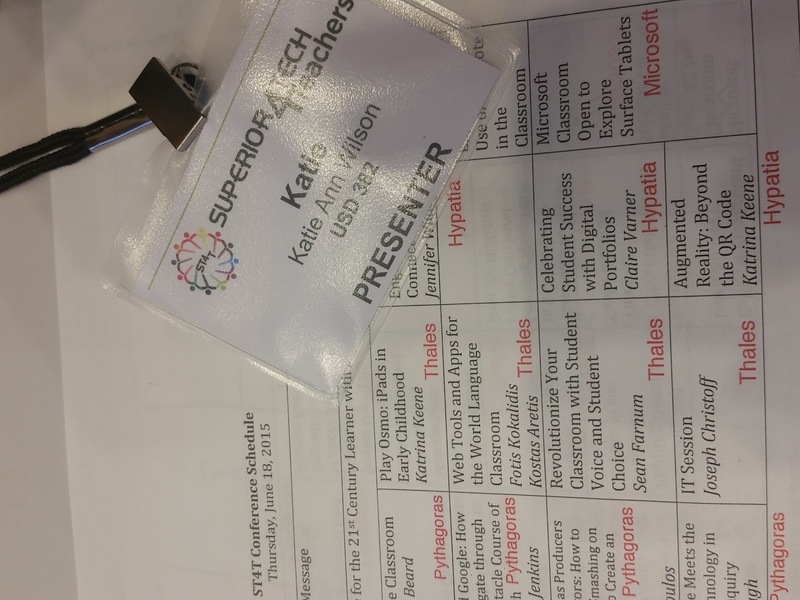 The conference in all was a great experience and I hope the teachers had as much fun learning as I had. 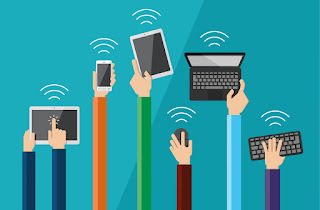 Remember to stay connected and to share. I am only a message away if you need anything. Using augmented triggers that are already made not only saves you time but adds enhancement to your lesson without changing the learning objective. For part two of the Why use AR series we will use two pre-made augmented triggers. Is the location inside or outside? Use adjectives to explain the mood of the setting? How does this image make you feel? Would you like to be there? Why or Why not? Now take a look at the second photo and answer the same questions. Looking at the two photographs what do you see that is similar and what is different. Use the following vocabulary to to describe the similarities and the differences. Speculate the situation and use words to describe such as: use may, might, must, can't be, seems to, & appears to be. Give your reaction to the photographs and use words such as: I'd love, hate to do that, It looks great, it appears to be dangerous, It makes me want to try, & It wouldn't suit me. You are going to ask the same questions but this time instead of just looking at the two images you are going to explore them. The app you will need is (STAR by Aug That) Supreme Tutoring Augmented Reality. Once the AR experience is loaded walk around the room. Using your device to look up, look down, and look all around. Now experience the 2nd image and answer the same questions. Now that you experienced the two environments what do you see that is similar and what is different. Use the following vocabulary to to describe the similarities and the differences. Share your your experience via social media. Use the hashtags #TechieEdu and #AR4Learning.